Home / Looking for a license number/license key? Looking for a license number/license key? Many software products come with a license key for the license you buy. Once you’ve purchased a license, you have to wait for the license key to arrive and enter it into the product. And when you’ve renewed a license, you get a new license key and have to change it. If this is what you are used to, you may be expecting Syspeace to provide you with a license key for the license you just purchased. We do things a bit differently. With Syspeace, the license number is linked to your Syspeace account, and means you already have access to every license you purchase with this Syspeace account. You have already entered your license number into Syspeace when you created your account just after finishing Syspeace setup. 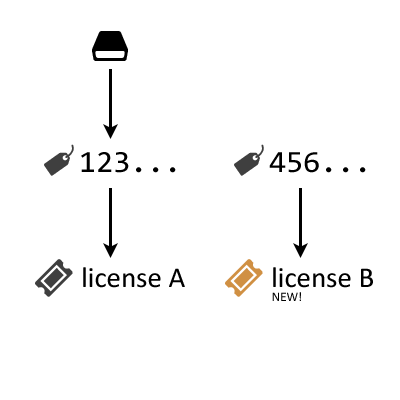 You do not need to enter a new license number for this individual new license; it does not even have an individual license number. Other software may require you to change license keys to get access to a new license. 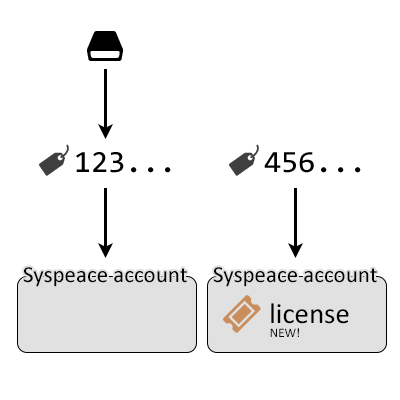 Syspeace uses one license number to connect you to all licenses in your account. How soon will Syspeace pick up the new license? The next time Syspeace checks for your license (within 24 hours), it will see that there is a license linked to your account and automatically use it. If you want, you can force Syspeace to check for the license immediately by restarting Syspeace. Will I ever need to change my license number? Not in response to simply purchasing a new license for the same Syspeace account. For example, if you purchase a license with the same Syspeace account to keep using Syspeace for another year, nothing has changed and you do not have to update the license number on every affected computer. The only reason to change the license number is if you wish to move a computer to another Syspeace account. Where do I see my license number? In Syspeace’s Settings, go to the License pane. Starting in Syspeace 2.6.0, you can use the Copy button to copy the license number. My license has not been activated even after restarting! Go to the License pane. Click the Buy licenses… button. 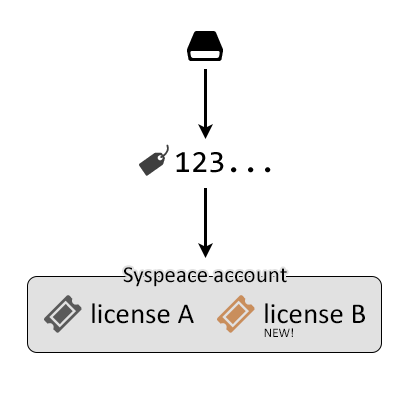 Log into the Syspeace Licenses site using the Syspeace account you used to purchase the license. If they are different accounts, you will see a prominent warning at the top, showing you which Syspeace account your computer is using, along with steps you can take. If you still have questions, please contact Syspeace support. If you register multiple Syspeace accounts, please take care to use the license number for the right Syspeace account.